After just a couple months on the market, Sony’s PlayStation Classic has fallen to a more reasonable price. So now all of you who truly want to relive the good and the bad of the mid-1990s have a great opportunity. The retro system hit retail shelves right before Christmas (Dec. 3) for $100, and it’s now down to $40 at Amazon and Walmart. The retro system is similar to the idea behind Nintendo’s NES and SNES Classics. 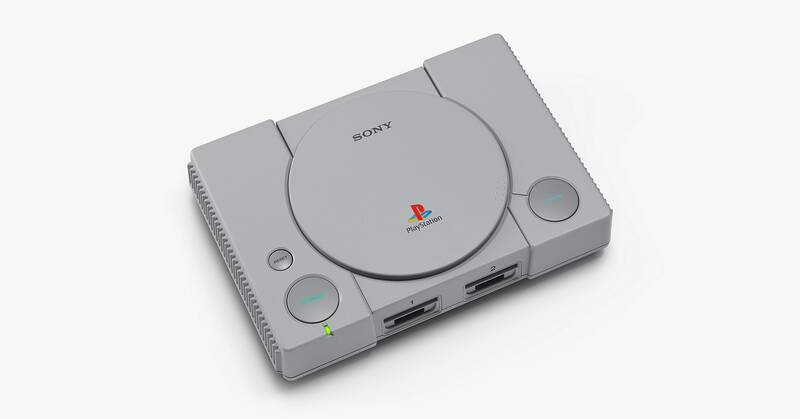 It’s a tiny replica of the original PlayStation that comes with two full-size controllers and 20 preloaded games. Those games are: Final Fantasy VII, Grand Theft Auto, Metal Gear Solid, Ridge Racer Type 4, Tekken 3, Twisted Metal, Battle Arena Toshinden, Cool Boarders 2, Destruction Derby, Intelligent Qube, Jumping Flash!, Mr. Driller, Oddworld: Abe’s Odysee, Rayman, Resident Evil Director’s Cut, Revelations: Persona, Super Puzzle Fighter II Turbo, Syphon Filter, Tom Clancy’s Rainbow Six, and Wild Arms. I didn’t write a full review of the PlayStation Classic last fall, but I did spend a good amount of time with it. Here are some thoughts. WIRED: I did have fun playing many of these games on the PS Classic when I tried it. It’s fascinating to jump back to the 32-bit era of gaming and relive some of the titles that helped gaming transition to 3D. For gamers who grew up during this era, it’s a reminder how great these games are, and how far we’ve come since. TIRED: I had a lot of the same complaints as other reviewers and fans have had. The first big annoyance is that while it does have a USB power cord, it required too much power for my TV to deliver so I had to scrounge up my own AC adapter. I also liked that it included two controllers, but wished they were 1997 DualShock controllers with analog sticks, not the original, D-Pad-only controllers. Big hits like Crash Bandicoot, Gran Turismo, Tomb Raider, and others are also missing, and some of the included games feel like filler. Finally, like a lot of older titles, the games just didn’t look all that great on a modern, high-resolution 4K television—more display options would have been nice. These issues were tough to swallow at $100, but may be more palatable at $40. There’s also no telling if the system is on its way out, but the steep drop in price indicates that this model may not be long for store shelves. Whatever your reasons, now is probably the best time to pick up this version of the PlayStation Classic if you want one. I’m not sure if this price will last or not. If not, it will likely bounce back to $60 or more.